Lowest priced 300 Sundancer on the market!﻿Owner has purchased his next boat and is ready to sell. Offers encouraged.“Hard Bargain” is a gently used 300 Sundancer, on its2nd owner and very clean. Boat has been kept out of the water, and stored indoors all of its life. It shows, the boat is turn-key and needs nothing….just drop it in the water and go! Over 4k invested in new stereo system, subwoofer and 8 speakers. "Hard Bargain" comes with a fully functional, never used, Eisenglass and canvas cover! 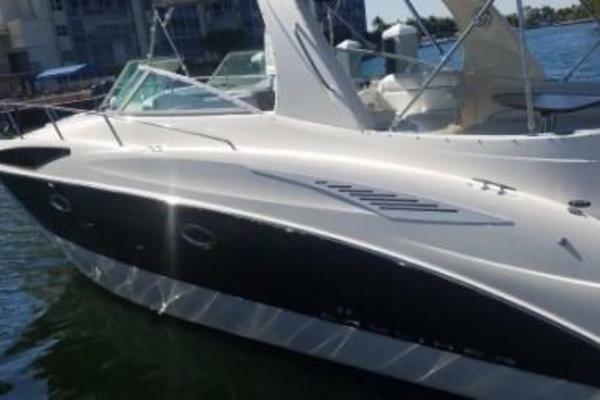 United Yacht Sales New Jersey would love to guide you through a personal showing of this 30' Sea Ray 300 Sundancer 2005. This yacht for sale is located in Cocoa Beach, Florida and priced at $54,500. For a showing please contact us by filling out the form on this page and we will get back to you shortly!